STERLING SILVER/ Gold Plated Solid Mintabie Opal Pendant. Mintabie Australian Crystal Opal Free Form Cabachon. Loose Australian Solid Opal (Mintabie) 2.4 ct. 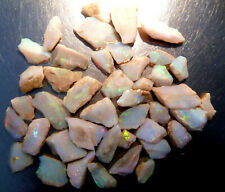 Loose Australian Solid Opal (Mintabie) 0.5 ct.